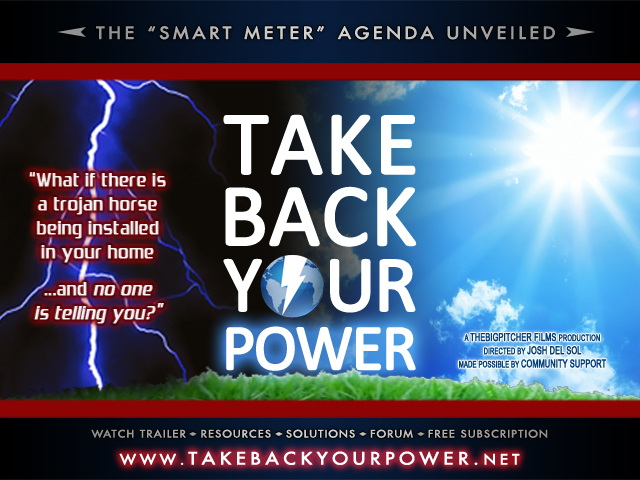 Top public health official report: Smart Meters DO pose a health risk! FCC thermal guidelines are irrelevant for non-thermal public exposures. The report also provides examples of strategies to reduce RF including minimize cell and cordless phone use, use speakerphone when possible, use wired internet connections, avoid setting a laptop on your lap, and more. This is an excellent report and a must read for all public policy decision makers, and especially utility regulators. Many thanks to Dr. Stewart Namkung, the Santa Cruz Supervisors and to the EMF educators in their area! Please circulate! This California Health Department Report on Smart Meters clearly demonstrates that the Utility Companies and Industry Representatives have been Lying consistently. There is overwhelming evidence and observations of immediate and longer term harm from these so-called smart meters. Not a single person at PG$E or the Public Utility Commission ever tested these meters in the communities where they are deployed and emitting radiation tens of thousands of times per day – These people are willing to kill our children for their extra money. Doesn’t this report END the smart meter program?! Robert, you reference the extra money the utilities and their cronies will be making from “smart” meters. But what you fail to take into consideration is the massive amount of lawsuits that will be forthcoming when it becomes public knowledge that “smart” meters are causing so much “health havoc.” The public utilities won’t have a pot to **** in or a window to throw it out of, once they get finished paying off the medical and suffering costs that will result from the installation of millions of “smart” meters. 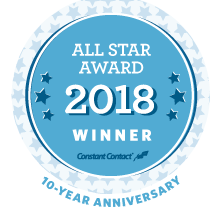 Smart electricity meters provide power companies with an accurate and streamlined method of monitoring, reading and controlling a home’s power usage. That convenience, however, comes at a steep price and could put homeowners’ safety in jeopardy. Researchers examining the privacy implications of smart-meter technology found that one German provider’s devices contained vulnerabilities that allowed them to snoop on unencrypted data to determine whether or not the homeowners were home. After signing up with the German smart-meter firm Discovergy, the researchers detected that the company’s devices transmitted unencrypted data from the home devices back to the company’s servers over an insecure link. The researchers, Dario Carluccio and Stephan Brinkhaus, intercepted the supposedly confidential and sensitive information, and, based on the fingerprint of power usage, were able to tell not only whether or not the homeowners were home, away or even sleeping, but also what movie they were watching on TV. Flaws in Discovergy’s Web interface also enabled the researchers to send back rigged meter readings to the company, and to tap into the company’s servers and obtain a complete record of all the information collected by a home’s smart meter. Best wishes, and special thanks to Robert. 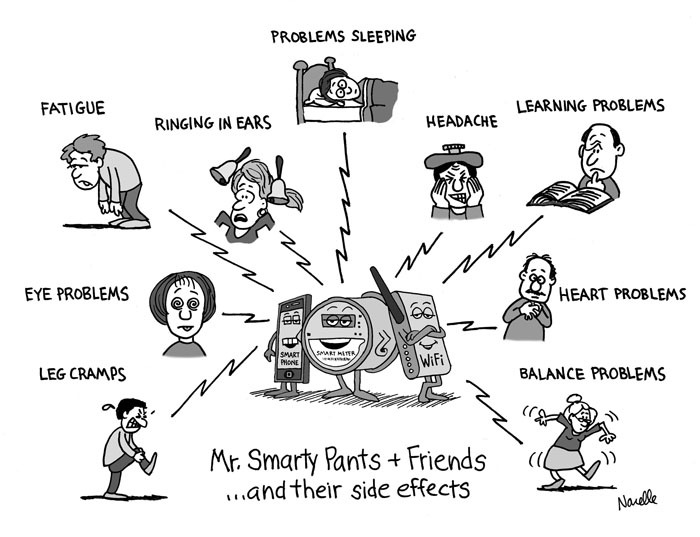 I know you, too, are working to warn people about “smart” meter dangers. Your efforts are much appreciated, as are those of all of the “smart” meter Paul Reveres! My woodstove radiates, so does the engine in my car, my computer, and every lightbulb in my home (100 years ago people thought they disturbed sleep). Crabgrass and rabbits also radiate, which I mention only to make the point that radiation is a very broad term. We are concerned with electromagnetic radiation here. For those of you that dozed in science class, that includes radio, TV, microwaves, infrared, visible light, ultraviolet, X-rays and gamma-rays. All are conveyed by photons which are discrete bundles of energy. The preceding list is approximately ordered by the amount of energy each photon carries. There is a huge gap between currently practical radio technologies and infrared; there are other gaps I won’t elaborate on. Somewhere between visible light and ultraviolet (both far, far above radio) we reach a point where individual photons (now considered ionizing radiation) have enough energy to damage molecules (e.g. DNA) they encounter. Below that energy they can only jiggle the molecules that absorb them, raising their temperature. Your exposure to a radio source varies by the cube of the distance–if you don’t feel heat, you are not likely at risk. 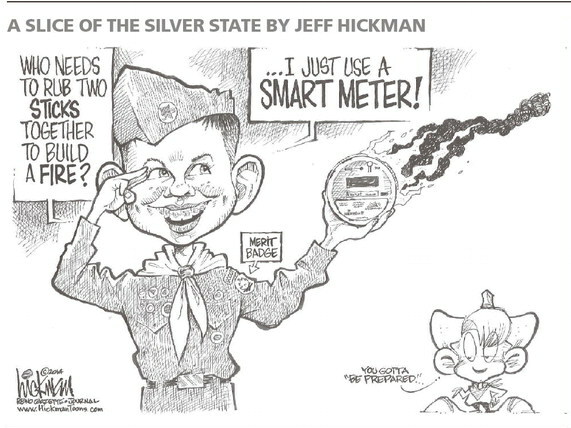 The Santa Cruz report notes that “…SmartMeters emit frequencies almost continuously…” –an engineer wouldn’t have written that–frequencies are an attribute, not an item. “… exposure is additive”–Well duh, food is additive, so what? “…how close a consumer might be to their limit”–what limit? A limit for ionizing radiation makes sense as each photon has a small potential to kill me. The additive (statistical) argument works in that case. Otherwise (for normal, non-ionizing,) radio sources), there is no limit. I should mention that nuclear radiation–alpha, beta & gamma*–is a completely different animal and outside the scope of this discussion. The only connection is that particles emitted by radioactive materials have enough energy to damage molecules in the same way that high-energy photons do. There is plenty to worry about today, e.g. chemicals in everything we use and privacy online. I’m no apologist for PG&E–I once lived in one of the homes destroyed in the San Bruno pipeline fire. But I’m not afraid of Smartmeters. I don’t want to discourage healthy skepticism of what large corporations do, but I don’t think the Smartmeter program deserves the opposition it has garnered. If you want to avoid cancer, minimize the number of medical/dental X-rays you get and avoid air travel. Those events will definitely increase your exposure to ionizing radiation. Sure, the small amount may be worth it, but you are the judge. *OK, gamma radiation IS emf, but far more energetic than anything currently used for commercial purposes, in fact I know of no other way of producing gamma ray besides using radioactive materials. Pingback: Pay for Your Health? Pay for Your Rights? We say No. 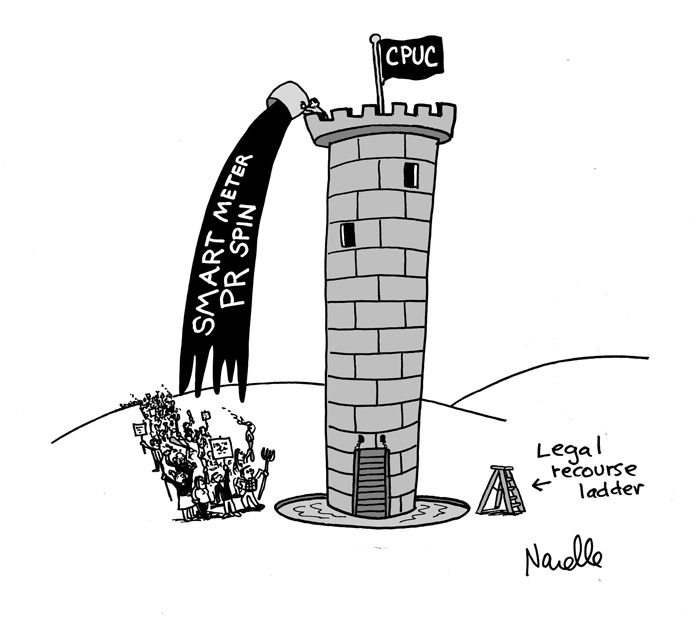 | Stop Smart Meters! Bruce Schadel above is mostly correct. There is no danger from smart meters due to radiation. 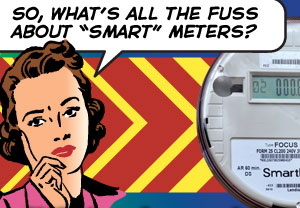 The first bullet at the top, “Smart Meters transmit pulsed radiation (RF) 24/7” is dead wrong. Also, the frequencies (these are not microwave) and power level used by these devices is safe, and each meter only radiates for a very short time each day. 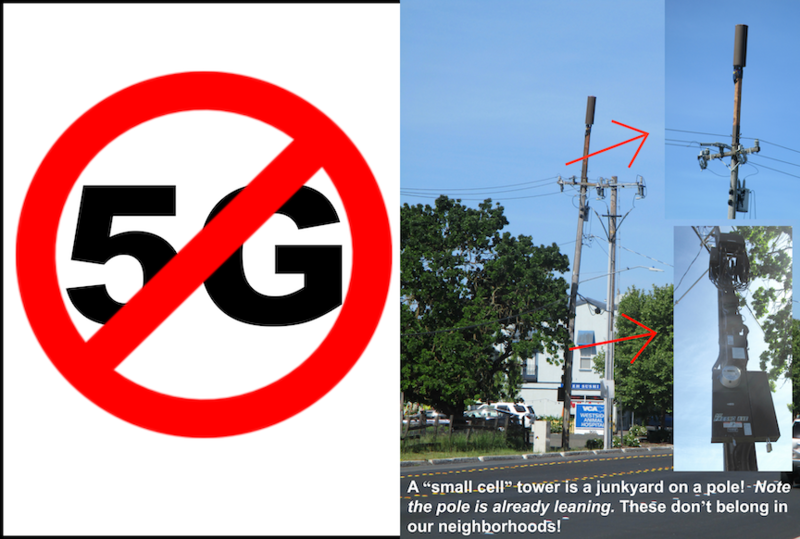 Your cell phone gives you a higher radiation density than your smart meter. Other sources of radiation in your home are your wireless router, television, microwave oven, and many more. Your smoke detector emits atomic radiation. In many areas radioactivity from Radon is present. Google them! Do you like to feel the warmth of the sun? 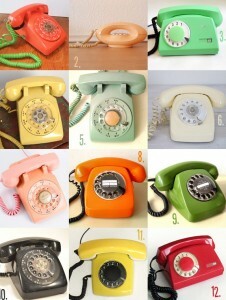 It is radiation and causes skin cancer. Inform yourself with creditable knowledge, and you will discover that the meters are not a health hazard. If you want to avoid radiation become a hermit and stay out of the sun. Oh! Living in a cave won’t help though. There is radon radiation there. Actually it is almost everywhere. Like I said google it. I am an electrical engineer and a amateur radio operator. I have been around radiation similar to that from smart meters and at very much higher levels almost on a daily basis for over 55 years. I am in my upper 70’s, and I am extremely healthy. RF radiation has been with me in my career and hobby most of my life. I never have had an health issue because of it. Actually I’ve never had a health issue about anything. All RF energy is not created equal. The frequencies used in microwave ovens are extremely dangerous at high levels. (It can cook you!) Your eyes are particularly sensitive to this radiation, so don’t peer into the window of your microwave oven too close. Your oven might leak a little energy. Thousands of people live nearby TV broadcast stations and don’t have health issues because of it. This has been the case for decades. The TV signal is transmitted with millions of watts of power. There are many links with articles discussing the danger of these meters, dangers due to cell phone tower radiation, and other dangers like radon and smoke detectors. Very little of this hype is creditable. The health hazard is mostly placebo. Maybe YOU are not affected by Smart Meter radiation- but some people are more vulnerable than others and children are especially vulnerable. It’s highly unfortunate that the majority of electrical engineers (and worse, doctors and government health department agencies) are clearly still completely ignorant of the extensive body of scientific research behind concerns regarding smart meters. So much so, that they unknowingly make fools of themselves in dismissing such concerns as ignorant neuroses on the part of people on sites like this, where laymen attempt to spread awareness of the issue. The problem is, as Dr Martin Blank who has actually earned the title of expert in this field of research points out, that government in its safety assurances is stubbornly adhering to outdated dogma that has actually long since been invalidated by science and so many weighing in on the debate are out of their field of expertise, thus perpetuating ignorance and confusion on a matter that has now become far too important for public health to be minimised any longer. Such science concerns are understandably highly inconvenient to a government who has already set its sights in partnership with industry to roll out wireless smart meters. Given industry and market considerations, it is understandably far more appealing to continue to accept electrical engineers safety assurances than to heed the warnings of bioelectromagnetic researchers and biologists. But is it morally right for regulatory bodies entrusted with public health to maintain an ignorant stance with so much at stake for the public in ignoring these warnings? Meanwhile, people promoting awareness on sites such as this may not be scientists themselves but they have the intelligence to recognise the validity of science concerns when such an issue is brought to their attention. Bruce, google the research, side step all the parroted misinformation out there and head to source documents by scientists themselves. 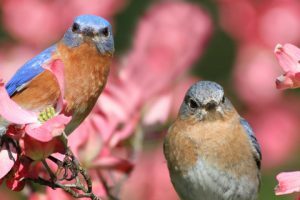 Whilst you may share the general public’s ignorance of complex biological terminology, you will at least gain insight into the basis of this research and its vast significance, and hopefully start to understand how much is being dismissed or minimised here. The more electrical engineers that awaken to the validity of the research the better, as there will be less to confuse the public on this important issue. The Santa Cruz Public Health Dept illustrates that the author reviewed relevant research and found it concerning. Don’t blame him for not being a biologist or an electrical engineer; the research itself that he reviewed was done by experts in that field and it is seemingly a very complex field that is perplexing to experts too, though some have possessed greater insight than others. It was his job to assess the validity of concerns and we should respect him for his honest assessment of the research. (Hopefully he has not been relegated to the role of stationery clerk for it). Dave, ours pulse every 6 seconds – 24/7 – admited by the utiilty co.